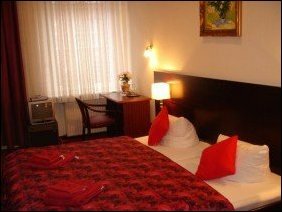 You find our family controlled hotel Novalis in the heart of Berlin, quite Seitenstrasse, 1-min from Friedrichstrasse and Oranienburgerstrasse distant. 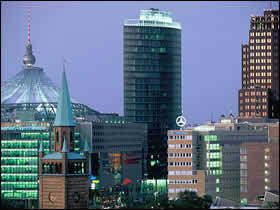 In immediate surroundings are: the Friedrichstadtpalast, the museum island, the Reichstag, and a lot a lot of more. There is our hotel now for more than 50 years. It orders more than 9 rooms which are furnished comfortably and individually. All our rooms contain shower / WC, TV, and minibar. One Bed more for children or a third person is possible in most cases. Experience you our house with the classical Berlin atmosphere, a lot of mind and charm. If you want to look at Berlin, we discuss it with pleasure. We are always open for your wishes and are glad to being allowed to greet you in our house.